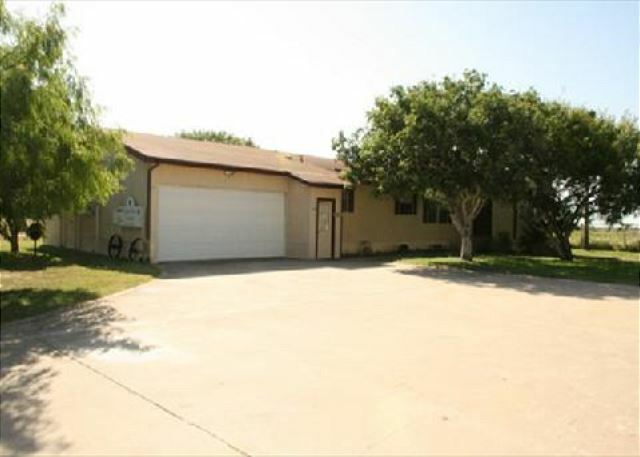 This spacious home is a 3 bedroom, 2 bath with 2Q, 2F, 2T, & 1SB. Great living area space connecting with the kitchen, washer/dryer, satellite tv, bbq pit and plenty of parking. Great views of the wildlife all around. 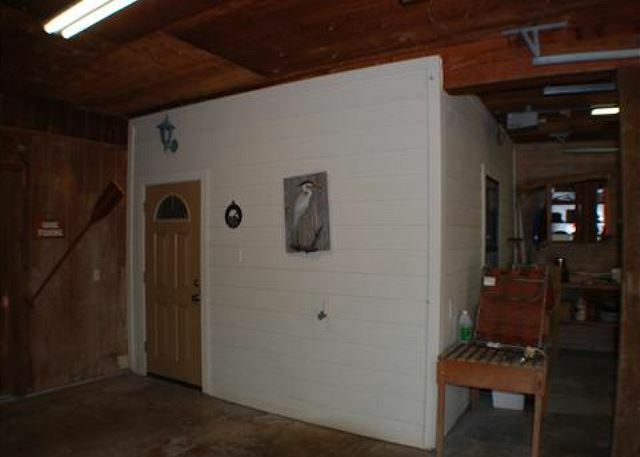 This downstairs unit is a 2BR,1BA. Unit is fully equipped with everything you may need. 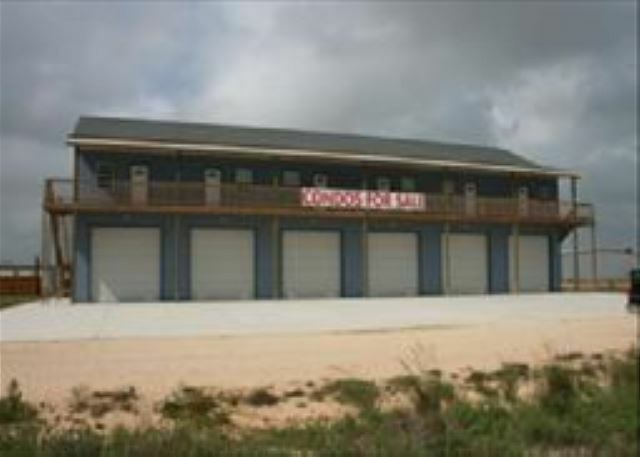 500' fishing pier is located across the street. Plenty of parking as well. Newly Remodeled!!! This one bedroom, one bath condo on the waterfront has a brand new touch and feel! Brand new furniture, new paint, and a brand new look. This condo comfortably sleeps 4 with 4 twins. It has all necessary amenities. 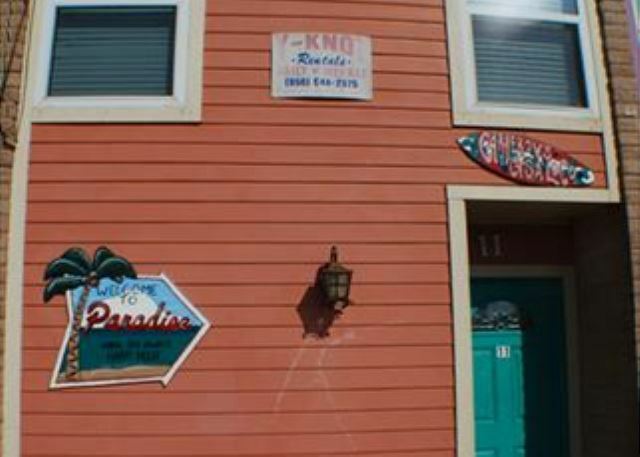 This downstairs unit nestled in the harbor is a 1 bedroom, 1 bath with 2 full/twin bunks. 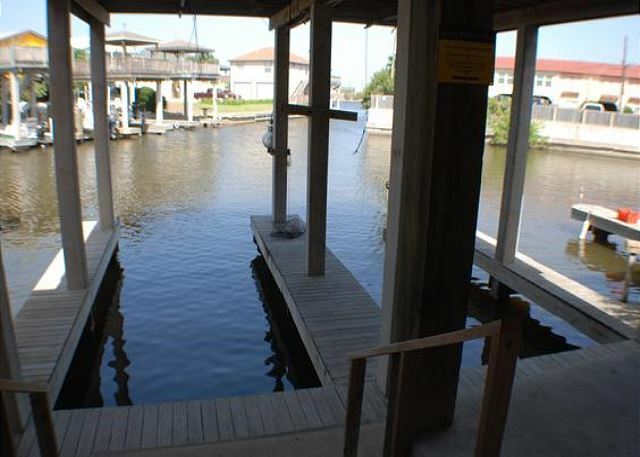 Easy access to the water and your boat right out your back door. No fishing lights. 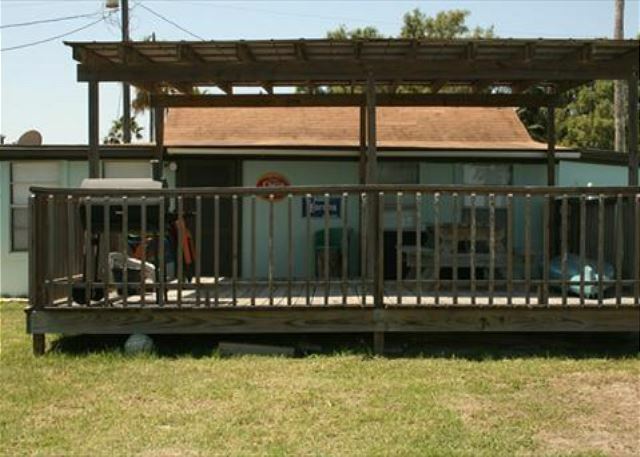 This downstairs apartment is a 1br/1ba with 1 Full/Full bunk and 1 Twin/Twin Bunk, boat slip, & bbq pit. No fishing lights. This 1 bedroom, 1 bath comes with 2 queens, one set of bunk beds and one queen sofa sleeper Fishing pier across street and swimming pool. This house is a 4br/2ba and comes with 1King ,2 Full, 3 Twins ,1Futon. 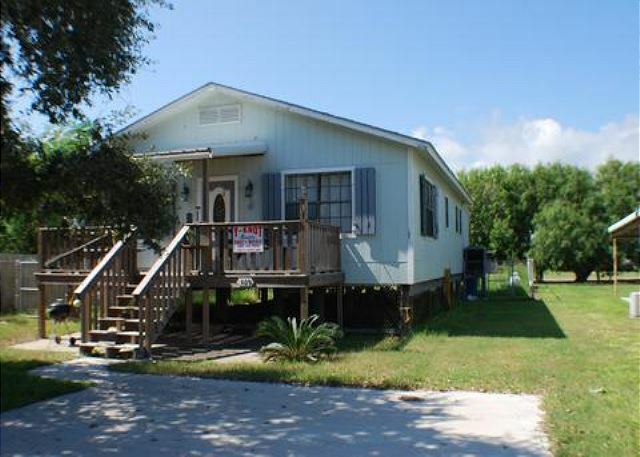 Completely remodeled, this house is very spacious, has a screened in front porch and plenty of parking. 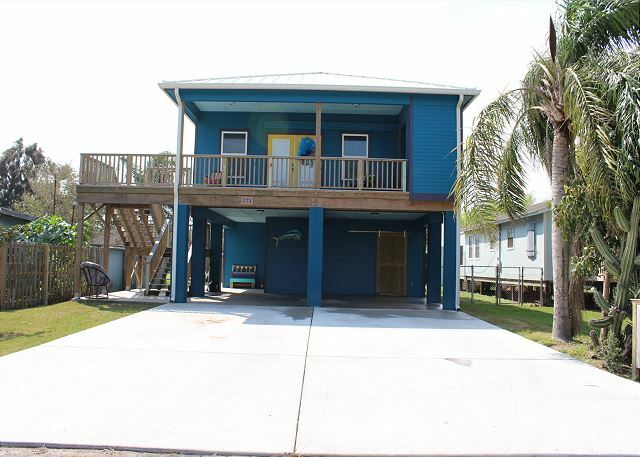 This 2 Bedroom, 3 Full Baths is fully outfitted for the weekend fisherman or family vacation. 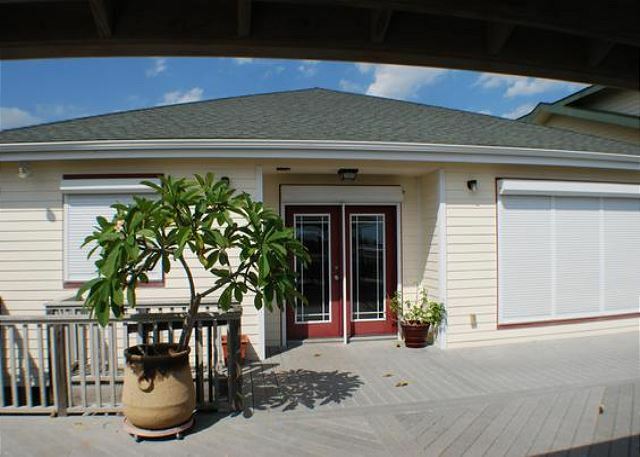 Wrap around porch gives you the opportunity to see all the features that Port Mansfield has to offer. This home is a 3 bedroom, 2 bath with 1 king, 2 queens, 2 fulls, & 2 twins. 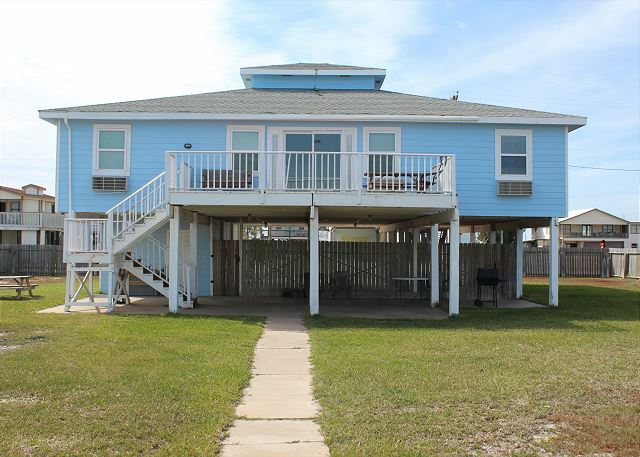 Big kitchen and living area, all necessary kitchen amenities, bbq pit, brand new fishing pier with 1 green/1 White fishing lights. This 2 bedroom, 2 bath condo comes with 1 Queen 3 Twins. Boat slip right out the back door and fishing lights for excellent night fishing! Satellite and WIFI, limited parking. Waterfront house with a 500' lighted pier right out the back deck! 2BR, 1BA upstairs and 1BR, 1BA downstairs. Fully equipped for a weekend getaway or family vacation. 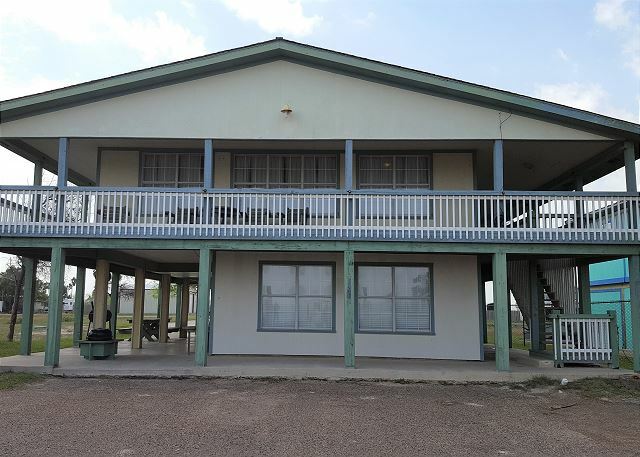 This luxurious, spacious home away from home has everything you need to get away! 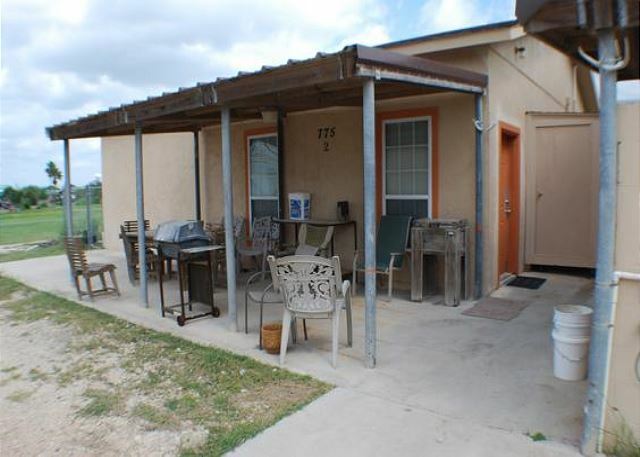 This 2 bedroom/2 bath has 4 queens and 1 sofa bed. 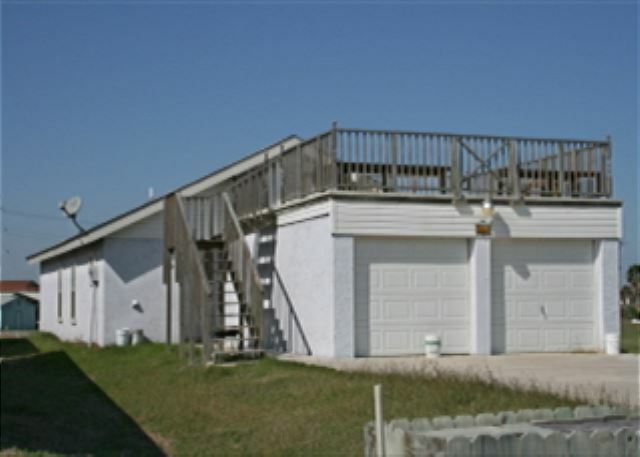 Plenty of parking with a small garage downstairs & boat slip across the street. Very Charming Condo!!! This 2 bedroom/2.5 bath waterfront condo with 4 fulls has just been remodeled. It has new furniture and new tile throughout the house. 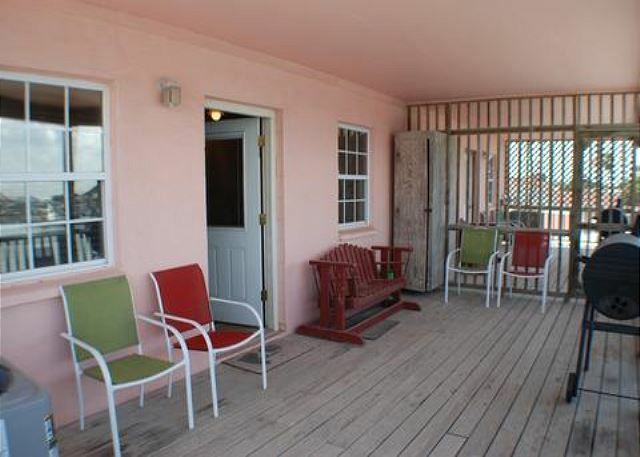 The covered deck area is ideal for sitting around and taking pleasure in the scenic views of Port. 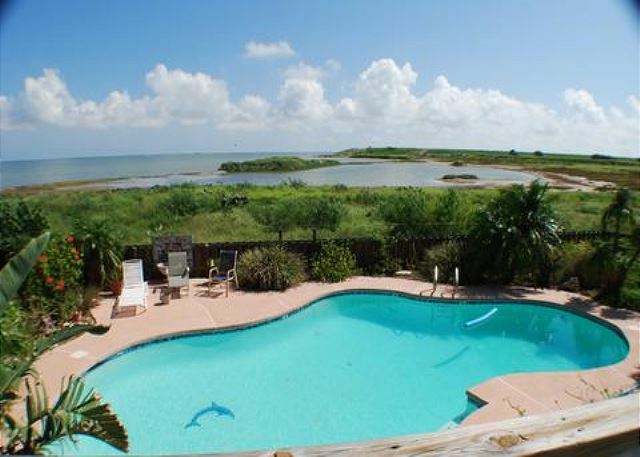 Great view overlooking the south bay of Port Mansfield. Relax & enjoy the day poolside. This 2 Bedroom, 1 Bath comes with 1 queen, 2 twins. Fully equipped with everything you need for a weekend getaway. 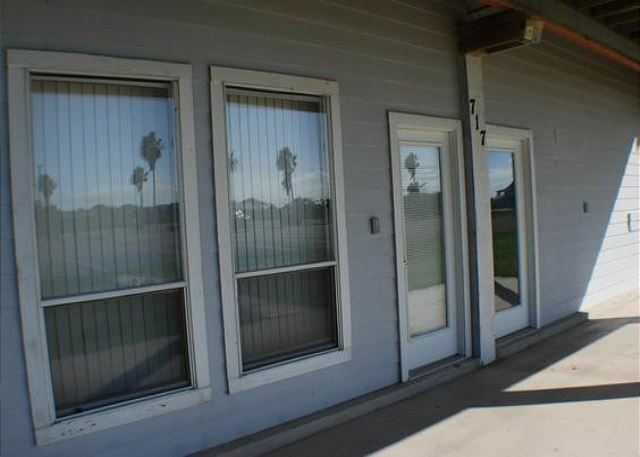 This spacious house is 4 bedroom, 2 bath with 2Q 4T 2FN 1SB. Great house for a big group. Excellent lounging area and wildlife surrounding the area! This 2br/2ba condo comes with 2Q/2F. 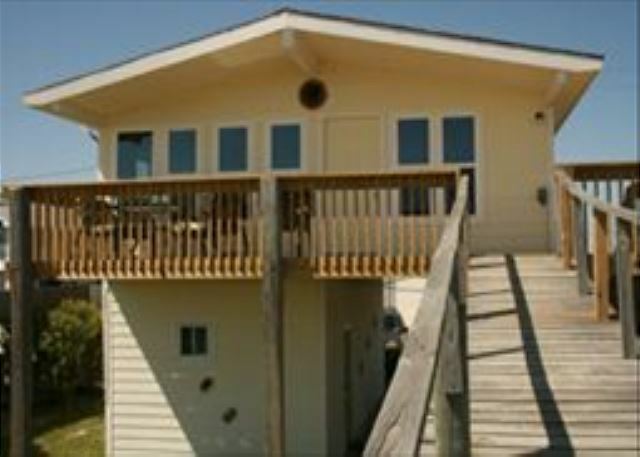 Spacious kitchen and living area as well as deck on the water. Comes with a boat slip and fishing lights. This 2 Bedroom/1.5 Bath condo has just had a major face-lift! It comes with 1 King, 1 Full/Full Bunk & 1 Twin/Twin Bunk. Full Bath upstairs w/a half bath downstairs. 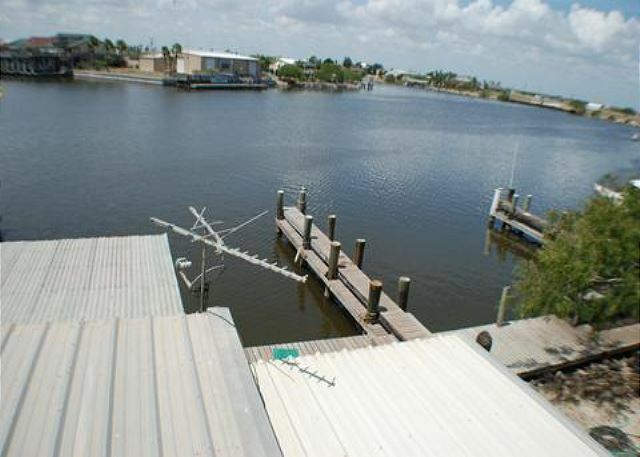 All kitchen amenities necessary, grill, satellite, WI-FI & water view w/boat slip. This beautiful 3 BR, 3 BA comes with 4 full beds upstairs and 2 full beds downstairs. Great common area for gatherings, boat slips and fishing lights. No garage use. This condo was just recently remodeled and looks fabulous! 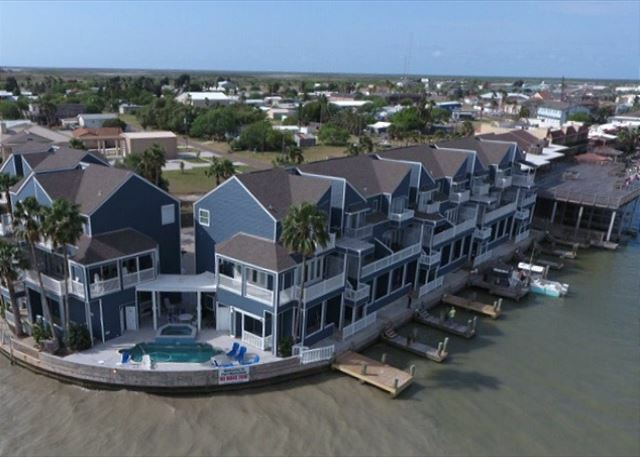 Nestled in the harbor with a boat slip & fishing lights it's the perfect spot for the weekend fisherman! 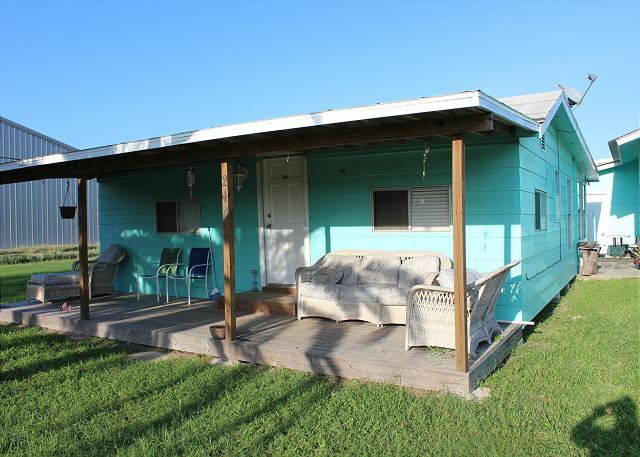 2 bedroom, 2 baths with 2 full, 1 twin, and 1 full/twin bunk. 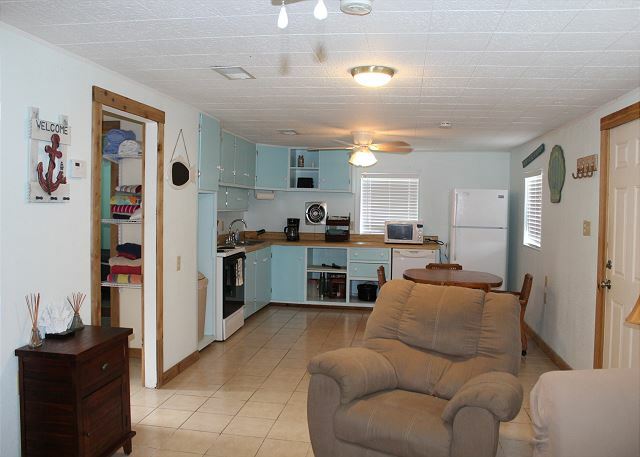 This 2 bedroom, 2 bath is fully outfitted for any cooking needs. Spacious and luxurious. Great patio to watch a beautiful sunrise or just enjoy the breeze. There's 1 king, 1 queen, 1 full bunk, 1 daybed, and a sofabed. No fishing lights. 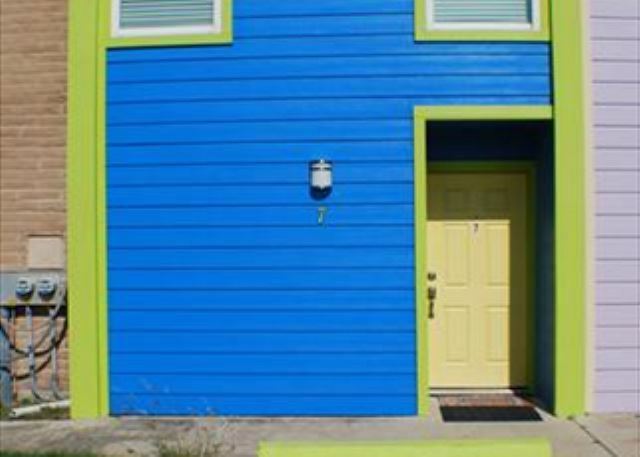 This house is a "home away from home!" Nicely furnished, fully equipped kitchen, great living space & spectacular outside deck. Comes with 1 king, 1 queen, 1 full, and 2 twins. 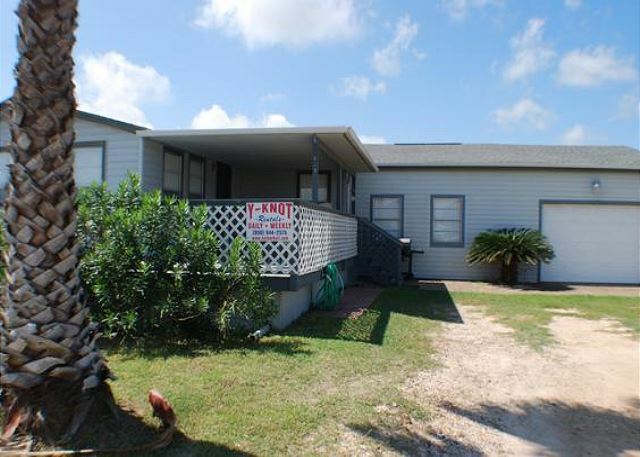 1 Boat slip provided downstairs, no fishing lights, bbq pit and washer/dryer. This beautiful 3 BR, 3 BA comes with 4 full beds upstairs and 2 full beds downstairs. Great common area for gatherings, boat slips and fishing lights. 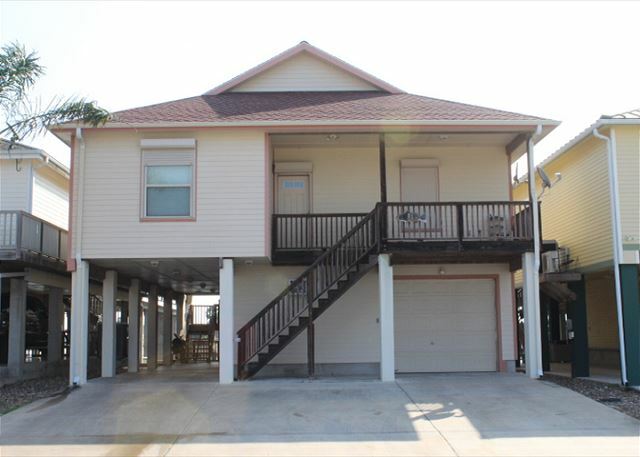 This 3 Bedroom, 3 bath comes with 1 queen, 2 twins, 1 sleeper sofa upstairs, 2 twins downstairs. Great common area for gatherings, boat slip and fishing lights. All necessary amenities for a great fishing weekend getaway! 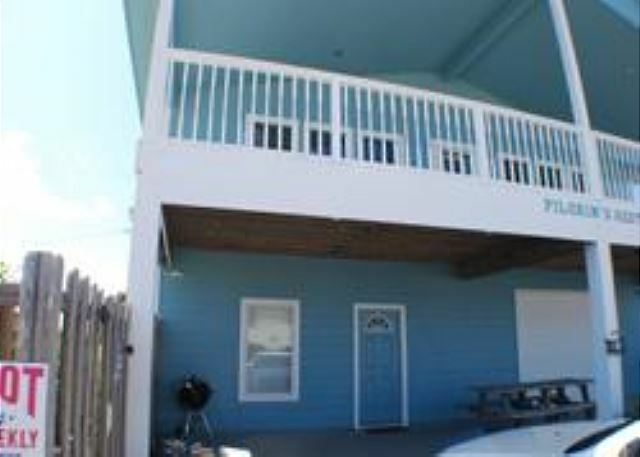 This 3 story Condo is a 3 bedroom, 3.5 bath with 1 King, 2 Full, & 2 Twin Bunk Beds w/complimentary WIFI. Upgrades include remodeled kitchen, and living area with all new floors, granite counter tops, large flat screen TV, appliances and ice machine. This Condo is a 3 bedroom, 3 bath with 2 fulls,3 twins,1 twin bunk. First floor is parking, second floor is kitchen and living area and a half bath. Third floor is 3 bedrooms, with the master overlooking the harbor with it's own bath. Swimming Pool! 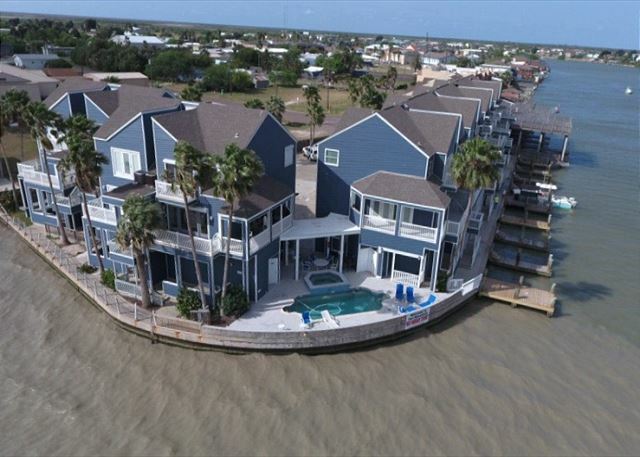 Grand 4 Bedroom house with waterfront access. Includes 8 queens, 1 full/full bunk, and 1 twin/full bunk. Great open spaces and beautiful views. Fully equipped kitchen with everything necessary for a fun weekend away! Plenty of parking. This luxurious and comfy 3 bedroom home is fully outfitted for any occasion. A chefs' kitchen, air hockey table, mini bar, great living area with 1/2 bath downstairs. 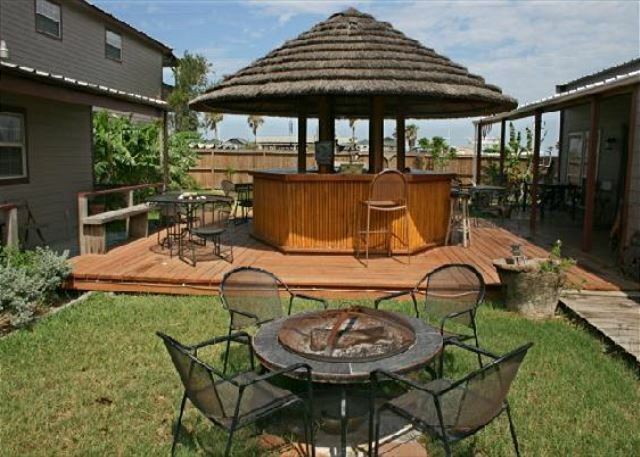 Awesome sitting area outside to watch our beautiful sunrises & fishing pier. Great condominium overlooking the bay. Newly remodeled, luxurious kitchen, brand new appliances and spacious. 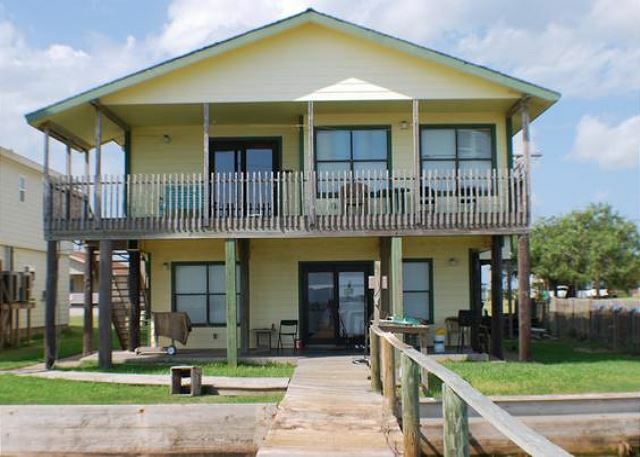 Sleeps 6 with 3 bedrooms and 3.5 baths. 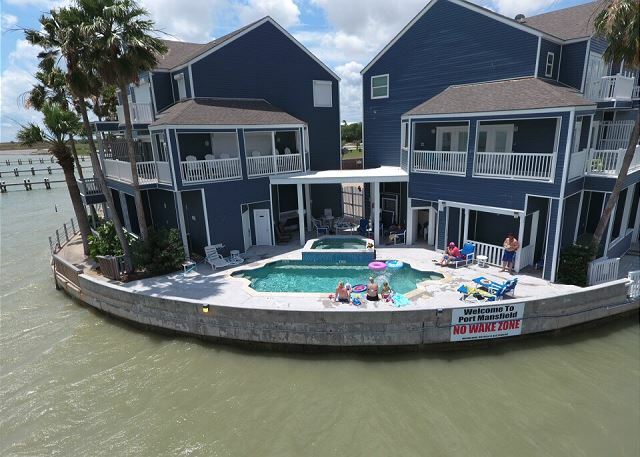 Comes with a community pool, parking, and private boat slip. 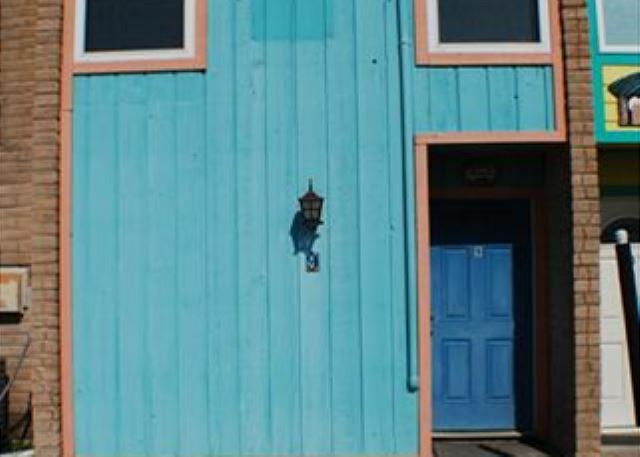 This cute cottage is nicely nestled on a street to street lot that gives plenty of parking. 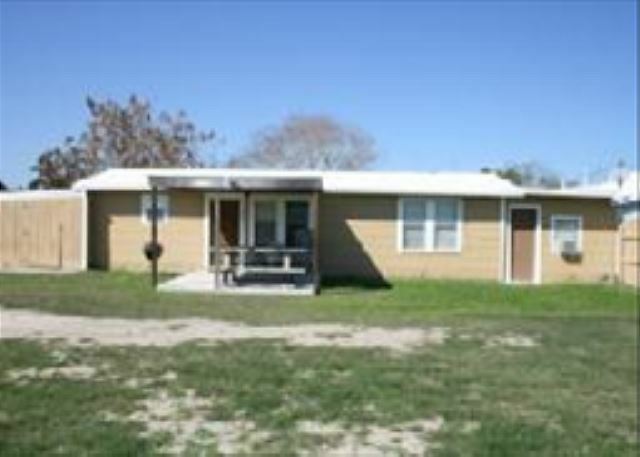 It's a 3 bedroom, 1 bath with a great open living area which provides plenty of space for relaxing. Outside is equipped with BBQ pit and table. 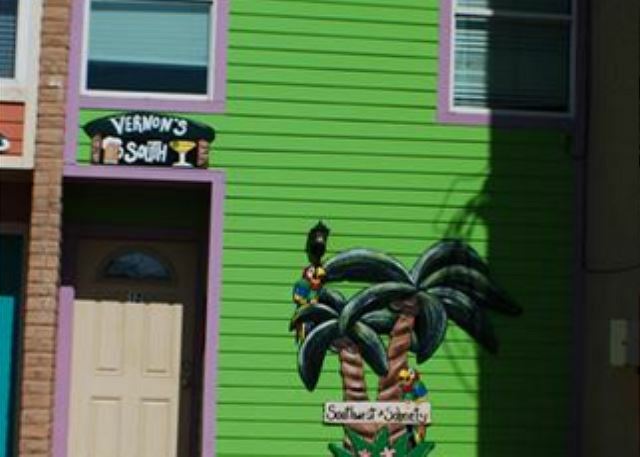 This 1 bedroom, 1 bath condo is priced just right for a weekend getaway! Condo comes with 2 twins and 2 twin sleeper chairs. 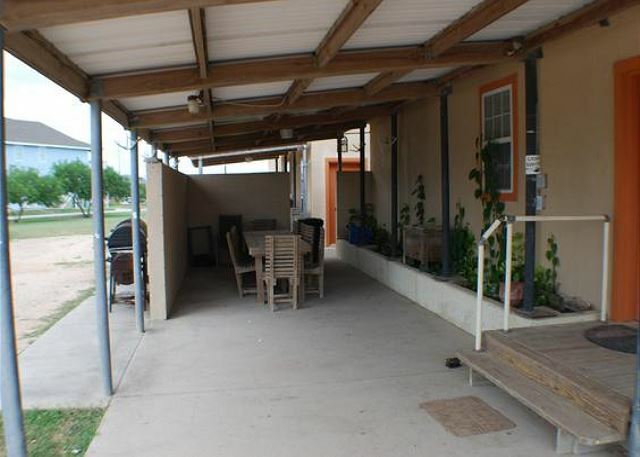 Fully furnished with living setup, kitchen, washer/dryer, and satellite. Spectacular wildlife view right out the front door! These condos have all you need a cute 1 bedroom 1 bath with 2 twins in the bedroom with 2 twin sleeper chairs in the living room. Completely furnished w/satellite and ready to rent. 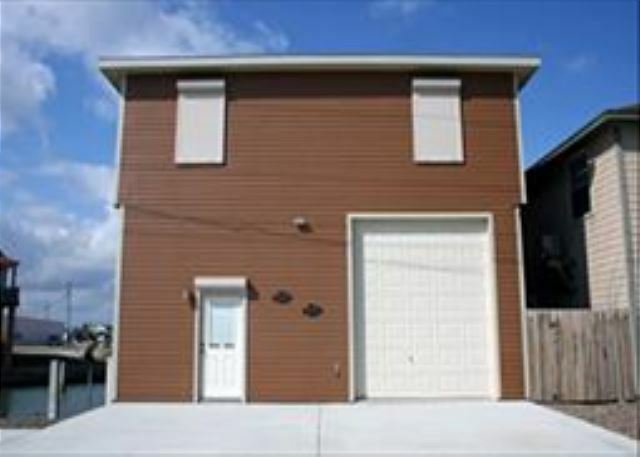 Newly built condos at the beginning of town with a great view of the wildlife scenes Port Mansfield has to offer! This 1 bedroom, 1 bath condo is priced just right for a weekend getaway! Condo comes with 2 twins and 2 Twin sleeper chairs with living setup. 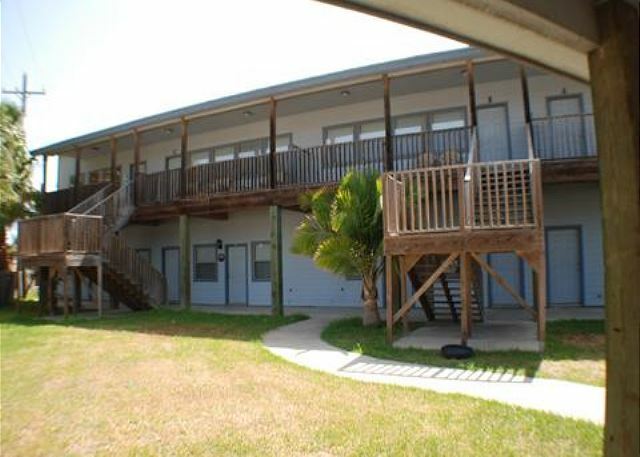 This 2br/2.5 bath condo comes with 1Q, 1Db, 2Double/twin bunks. 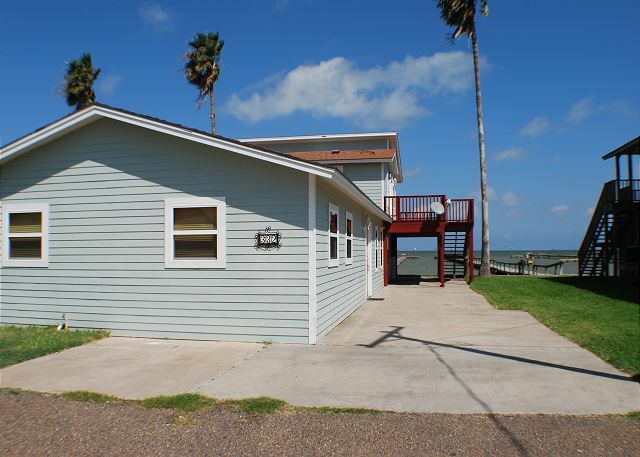 Nestled in the harbor for quick access to Lower Laguna Madre and green fishing lights. Has everything you may need for a weekend getaway. Limited Parking. 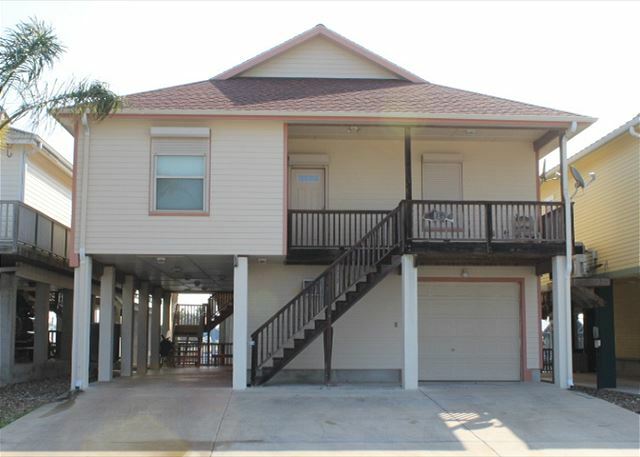 This condo is a 2 bedroom, 3 bath with 2 Full/Twin bunks and 3 twins. Each room has it's own full bath and a full bath downstairs in the kitchen area. Great common area and swimming pool to enjoy. 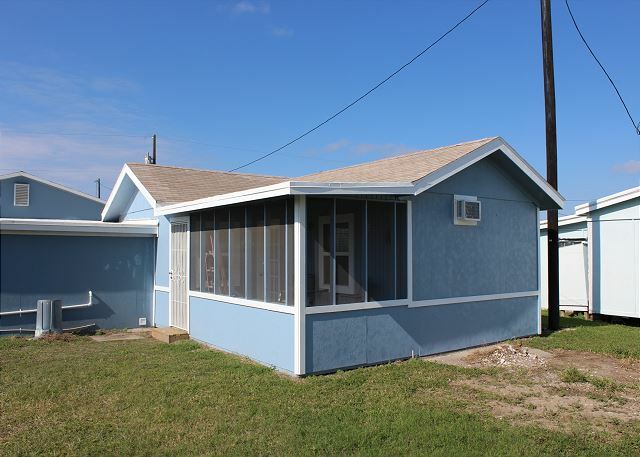 This newly remodeled home is a spacious 3 bedroom/2 bath, with 1 King, 2 Queens, 3 Twins & 1 Twin trundle bed. Beautiful brand new kitchen and appliances and everything you need to feel at home. 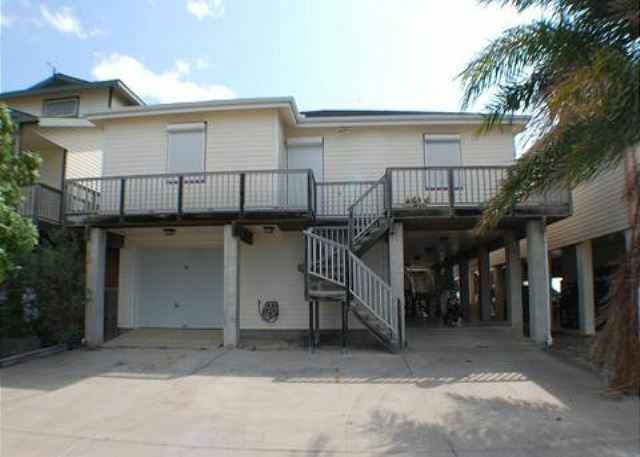 This 3 Story condo is a 4 bedroom, 4.5 bath with 1 Queen, 4 Twins upstairs and 2 twins downstairs. 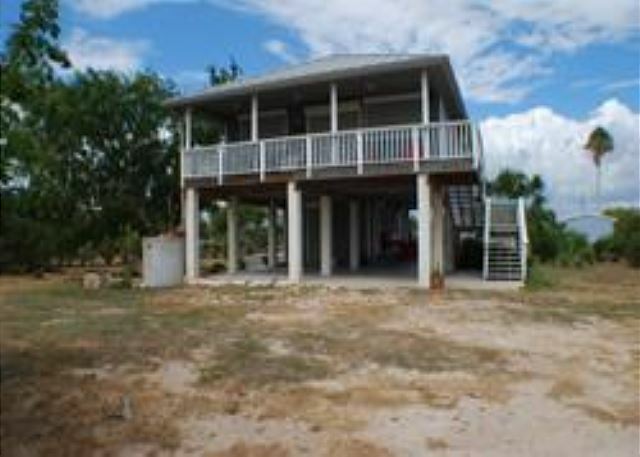 2nd floor consists of a full kitchen and spacious living area and dining room with a half bath. Great common area with a swimming pool. Cute hideaway, great view from the back deck! Plenty of parking at this unit and fully equipped kitchen. Unit has 2 Full, 1 Twins. 3 night minimum on Holiday Weekends. 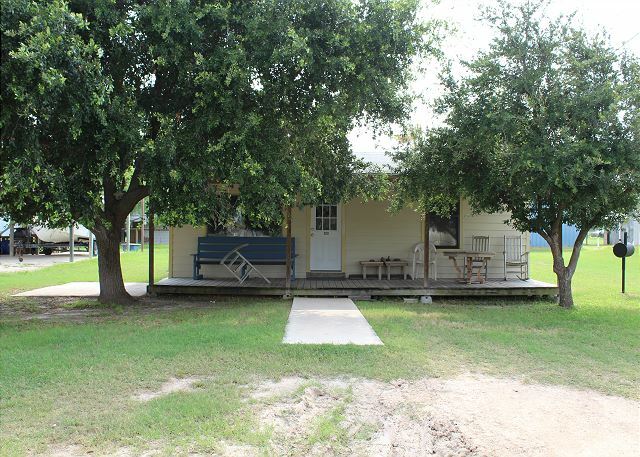 This 2BR/2BATH comes with 1 Queen, 4 twins with a screened in patio and a fenced yard. 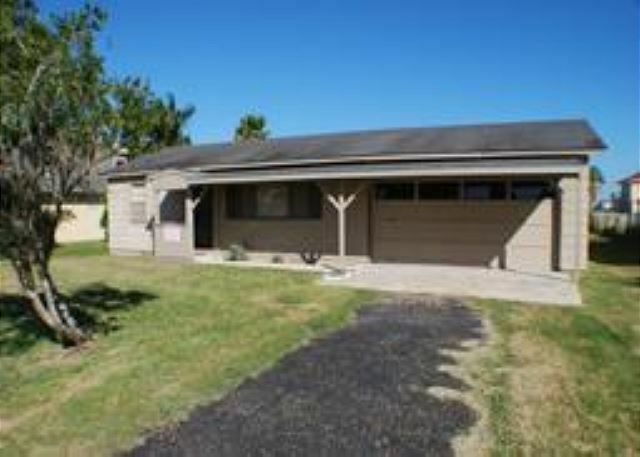 This 2 Bedroom/2 Bath is newly remodeled and looks great! It has 2Q, 2T, 1SB, Satellite, Washer/Dryer, bbq Pit. Pictures to prove it! Rent it now! Come enjoy this newly remodeled home. This is a 2 bedroom 2 bath with 2 Queens and 2 twins. Central Air and fully equipped kitchen . Satellite t.v and washer and dryer. 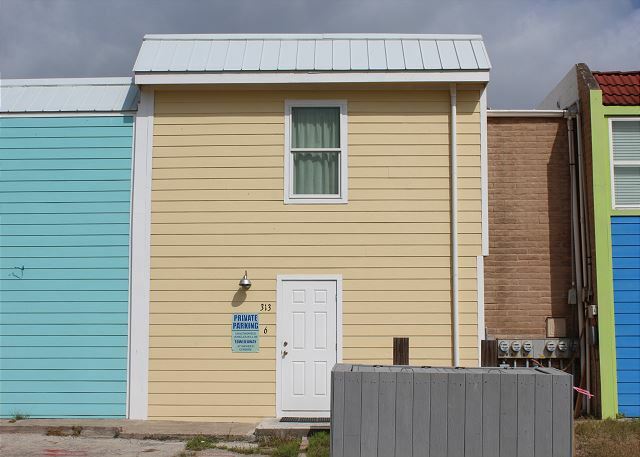 This 3 BR/ 2 Ba comes with 1Q ,1F, 2T, has a back patio, parking front & back. Very spacious and accommodating. Everything you need to feel like you are still at home! Located above HB&T, this condo is perfect for the avid fisherman! Boat slip is just a short walk down the stairs. Unit has 1 Full, 2 Twins and fully equipped kitchen. Great view out on the back deck as well! 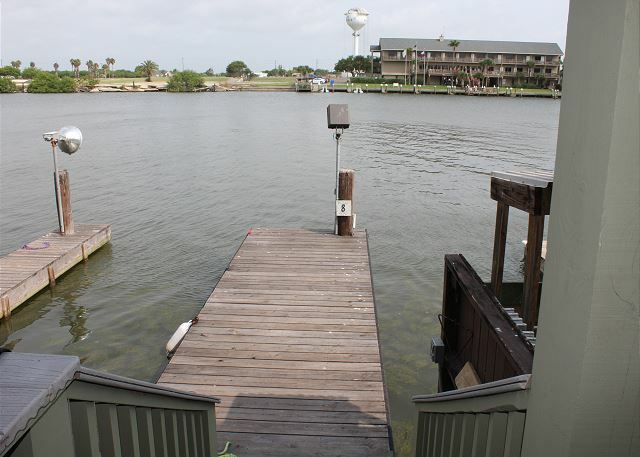 Located above HB&T, this condo is perfect for the avid fisherman! Boat slip is just a short walk down the stairs. 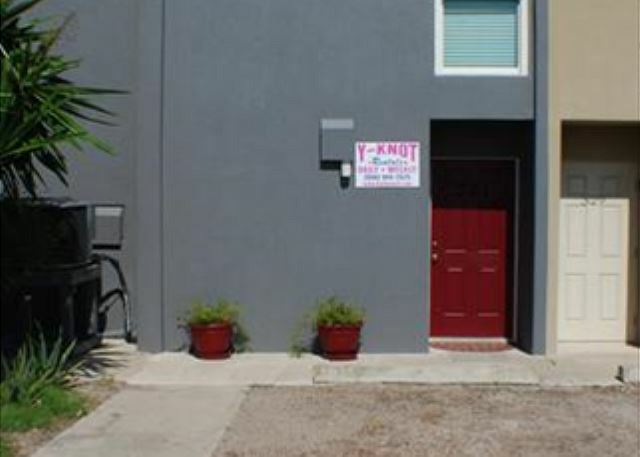 Unit is a 1 bedroom/1 bath with 1 Full, 2 Twins and fully equipped kitchen. Great view out on the back deck as well! This 2 bedroom, 2 bath comes with 2 fulls & 3 Twins. Kitchen flows into the living room with original wood paneling all around. 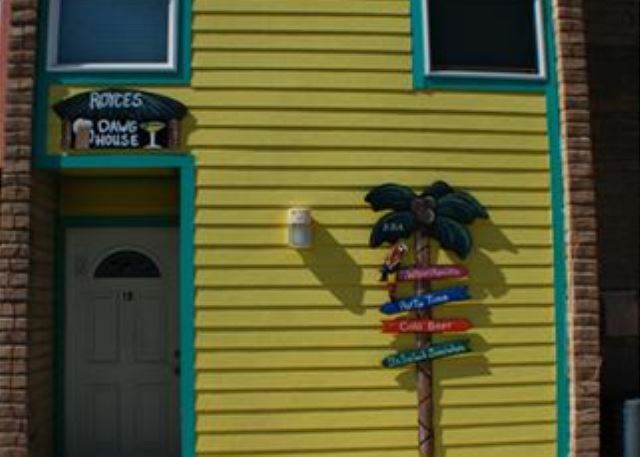 Located above Skipper's Restaurant, everything's walking distance! 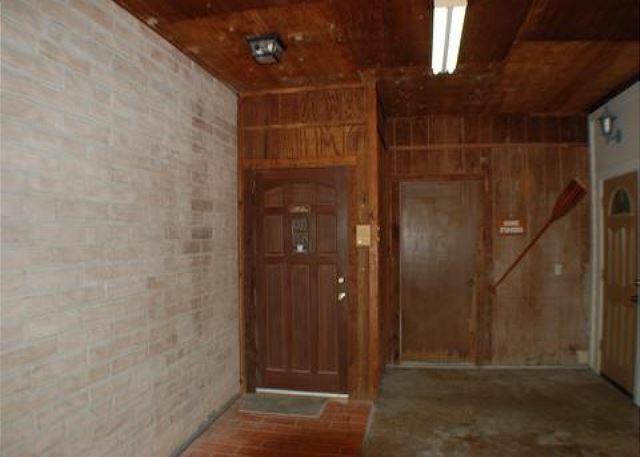 Downstairs condo is 2 bedroom,1 bath with 2 Twins, 1 queen, and 1 bunk. Fishing lights right out the back door.